Initially this was an extremely difficult title to review and it didn't help that I thoroughly enjoyed the movie but was quite lukewarm to the game. To compound the situation, the links with the movie were tentative at best and the fiddle some control system bordered on frustration and quite a bit of swearing on behalf of this gamer. 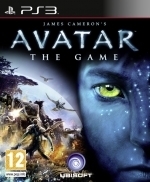 However after a few hours, the game began to grow on me and even though some of the gameplay was flawed, the amazing graphics and wondrous universe of James Cameron's Avatar was turning this mediocre game into a healthy gaming experience. 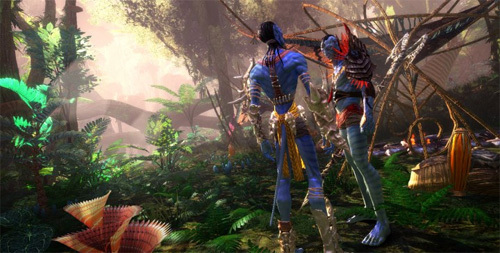 The story is loosely based around the movie and players can either control a human or Na'vi through the game. Thankfully you are given a choice at the early stages of the game to decide whether you want to fight for the humans or the blue skinned Na'vi. Needless to say and if you have seen the movie, the choice was simple... go the Na'vi! Story wise, it revolves around the RDA who have come to the moon of Pandora to mine for a special mineral that may solve the energy crisis on Earth. Unfortunately the local inhabitants are in the way but a group of clever scientists have managed to clone these Na'vi with human DNA and by connecting yourself to a mind chamber, you can then control these avatars. This was hopefully to stop the impending war to come but obviously it didn't work and this is where the player must make a choice, fight for the humans or fight for the Na'vi. In terms of character creation, you get to pick your character, male or female and to some extent what they will look like. Lastly you need to pick a "fun" name for your character and that's about it which is a little reminiscent of an RPG game, although the game is heavily steeped in action. At its core, Avatar is a third person shooter and as you progress, you are awarded experience points which then unlocks new skills. In terms of humans versus Na'vi, the skills are virtually the same, except the humans are smaller and have more powerful weapons but the Na'vi are taller and their weapons are based on melee or ranged weapons. It's basically bullets versus arrows! 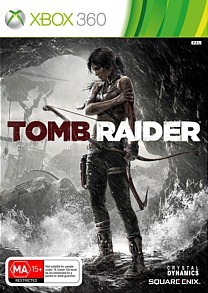 Although there is some basic customisation with your characters, it is quite a limited RPG-esq experience but nonetheless if you want to play this a second time around, more specifically, another race, the game will definitely allow it as the missions are different for both, almost making this a new game completely. The skill tree in the game is quite cool as you map them to your controller, whether it's a Na'vi "spell" for healing, summoning beasts or calling upon their god to rain down her wrath, it definitely raises the bar of this third person shooter. Unfortunately the skills are quite similar such as the both having speed or healing but there are a few different thankfully. Controlling your characters does take some time to get use to as it feels a little sluggish at first and does become quite frustrating when you start climbing to higher destinations in the game. In reference to battles, combat is a little tricky due to the fact that it's quite unresponsive compared to other games on the market. For instance, aiming is not very accurate and to compound the situation, there is no ZOOM! 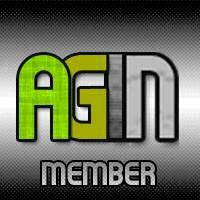 What's up with that gamers? 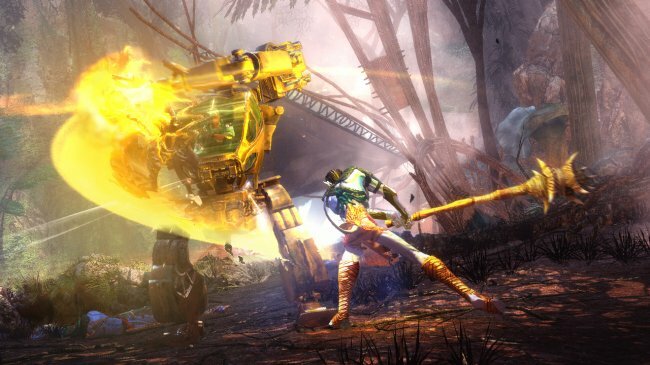 The human campaign is basically a shooter (the flamethrower is fun though) but the Na'vi give you some fun "primitive" weapons such as blades, crossbows and the ability to use animals from Pandora. 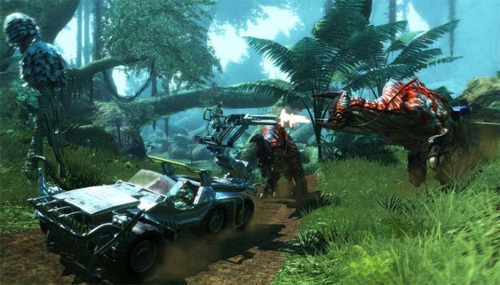 Definitely play the Na'vi if you are purchasing of renting this game. 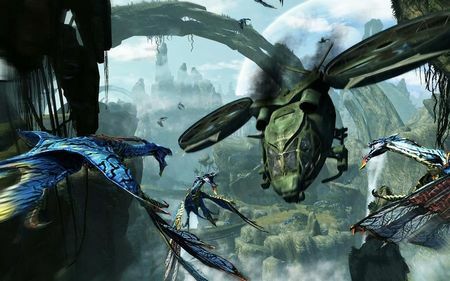 Although the human story is mediocre at best, playing the Na'vi truly unlocks this amazing universe and best of all, you can ride and fly creatures called Banshees which was actually an awe-inspiring experience in the game, except when you hit an invisible wall. Even so, it's fun to fly around and was reminiscent of the dragon game called Drakan and this experience helps progress the story and of course allow you to reach difficult to reach places, especially when you're trying to destroy a flying destroyer. Humans also have vehicles to control! The missions in Avatar were quite bland during the initial parts of the game and this is where patience and prevalence pays off because this is a slow game to get going but once it does, it was quite difficult for me to put it down. Another interesting aspect to the game is a mini-game called conquest which plays like a RTS as you attempt to earn points by securing new zones of Pandora. There's also a fun multiplayer experience to the title that allows up 16-players to join in which boasts classic games such as team death match and capture the flag which worked quite well online. Even though Conquest feels like an afterthought, it did help break up the main gameplay. To complete the game, it will take gamers around 20 hours or so, depending on how much you explore and thankfully there is a radar which shows your locations but because Pandora is so difficult to navigate, it may take some time figuring out this "3D" world. Another issue with the missions is the save mechanism in the game because sometimes I had to walk miles to get back to where I was suppose to be, even with the use of teleporters. Thankfully I gave the game the benefit of the doubt and my gamble paid off. Graphically, the title is pure eye candy, especially on a high definition TV and the developers have managed to capture the wonder of the original motion picture. Although the humans look like traditional army grunts, the Na'vi are quite sensual creatures and this game captures their look perfect. Of course, the real star are the amazing backgrounds that are extremely detailed and the draw distance is rather impressive. 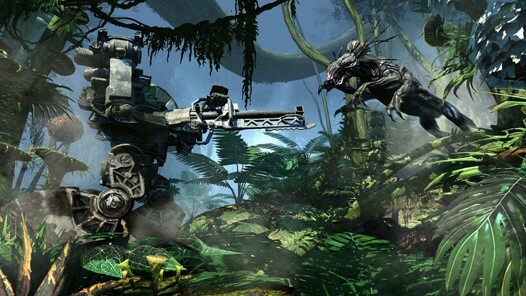 Match that with a variety of special effects, great lighting and some in-game movies and Avatar is a well made title. Of course if you have a TV that supports 3D, this game truly comes alive and thankfully I had access to one of these sets and played the game for a few hours on it. Needless to say, quite a breathtaking experience. The voice acting is professional in Avatar, although I'm a little let down by the music as it's missing that true majestic feel which was featured in the motion picture soundtrack. The sounds of Pandora are good and this game really needs to be listened to loud to be appreciated. It's just a shame, for me anyway that the music only adds a little to this gaming experience. 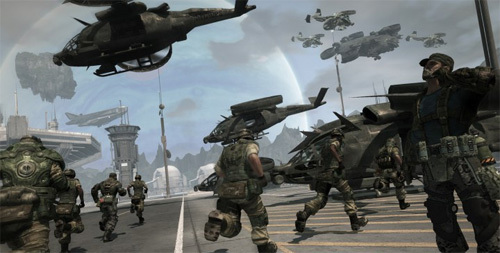 The cut scenes use in-game graphics and sound which range from good to mediocre. Even though there are quite a few negative reviews for this game, if you put the time into it, it may actually pay off. I suggest a rent before a buy and yes at times it feels like a buggy BETA but for fans of the movie, it actually works well as a movie game and once you have ironed out those fiddly controls and stopped falling from high ledges and worked out how the camera works, Avatar surprisingly works well. If only they spent a little more time ironing the bugs and this would have complimented the movie rather well.